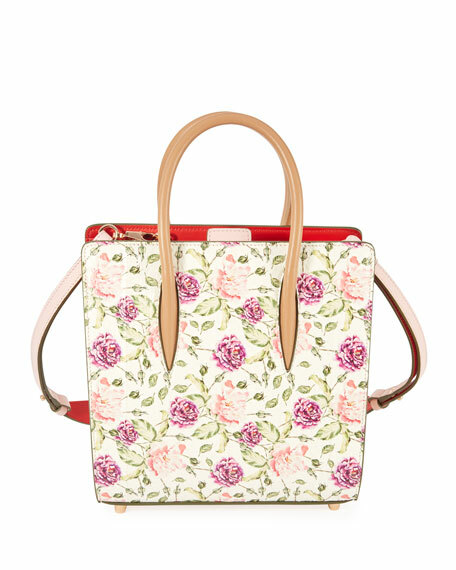 Christian Louboutin calf leather tote bag in floral print with watersnake trim. Rolled top handles anchored onto body. Exterior, spiked patent leather sides. 9.3"H x 9.1"W x 4.9"D.
For in-store inquiries, use sku #2359157.